We're weak for the pictures. 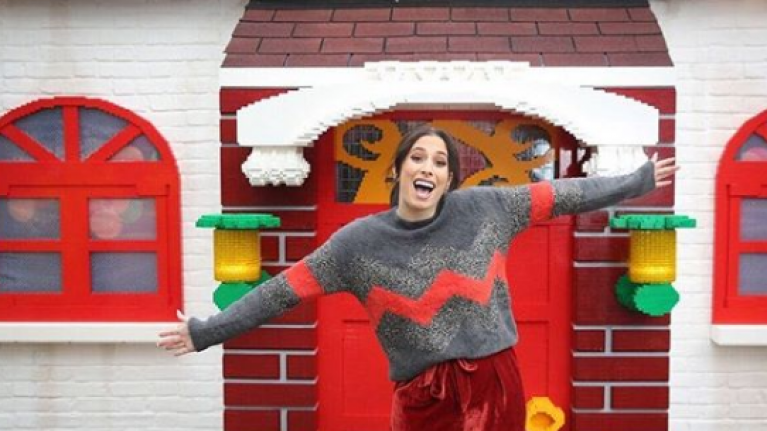 Everyone's favourite funny gal, Stacey Solomon recently took to Instagram to share a family Christmas picture. The Loose Women panellist and former X-Factor contestant was surrounded by a gang of 14 people, including her two boys and current boyfriend, Joe Swash. Most of her family and extended family were in comfy PJs and appeared to be having a great time together. "Well that was a crazy Christmas. It was like real life Meet The Parents. Luckily no one got hurt and everyone is still talking no matter how heated Family Fortunes got. Feeling extremely privileged this morning to have been able to share a special day with my family and my extended family I adore each and every one of them. I hope you all had a wonderful Christmas." "My heart goes out to anyone struggling at this time of year. I realise how privileged I am and that lots of other people aren’t as fortunate. Love and light to all. There are some incredible people and organisations out there so please please please if you need to reach out if you can." Our first ever Christmas on OUR HOUSE ? ?⬅️ This was my face the entire day! I love you to the moon and back @realjoeswashy ? She listed a number of support services for people to contact if they were struggling. This was the first Christmas Stacey and Joe got to celebrate in their own house as the pair recently moved in together.